You can have it all! 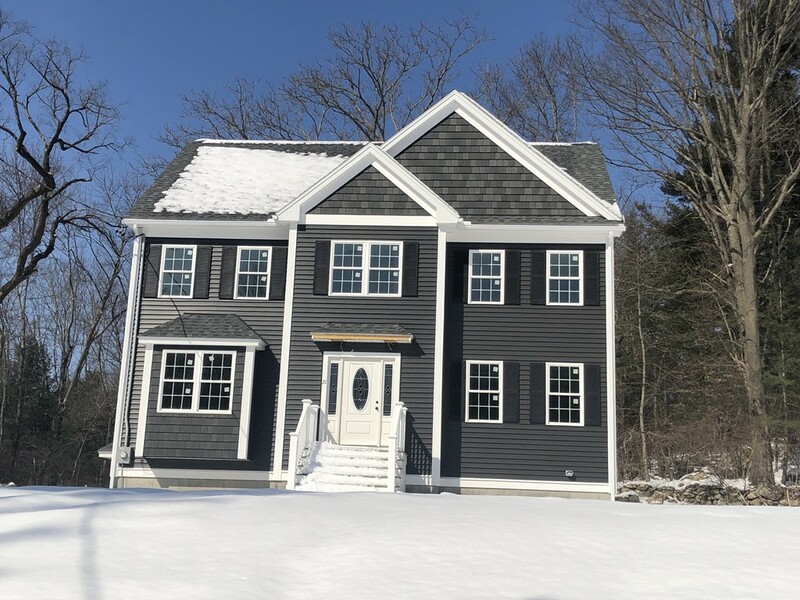 This beautiful new Colonial, built by superb developer, is neighborhood minutes to commuter train, schools and town common! Wide Open Floor plan with a custom eat-in-kitchen, center island, upgraded cabinets, countertops, backsplash, stainless steel appliances and wine frig. Kitchen opens to formal dining room and living room with fireplace and study......all with Gleaming hardwood floors! Master bedroom suite with walk in closet, full bath and additional full bath, two spacious bedrooms and a playroom make up the second level. Walk up attic....idea for storage or future expansion!